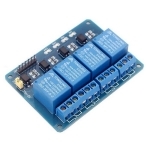 This small 4 Channel Relay Board works from a 5V supply for the relays uses a low switching signal (i.e. a GND or 0V connection will switch the relay on). 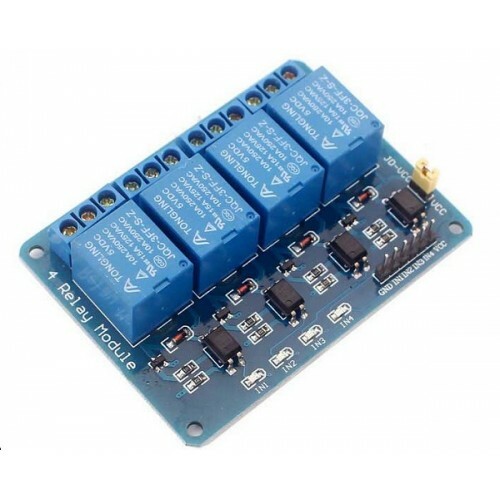 It uses a transistor and opto-isolator to switch the relay on so can be connected directly to a microcontroller pin. VCC 5V Supply for relay switching.